AMMAN - Talal Abu-Ghazaleh & Co. 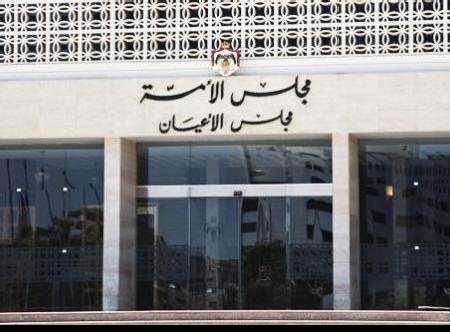 Consulting (TAG-Consult) started developing a strategic plan for the Jordanian Senate as the Council pursues institutional development and enhancement of performance levels. A special committee has been formed for the strategic development plan, headed by President of the Senate HE Mr. Faisal Al Fayez, and with the membership of HE Senator Dr. Talal Abu-Ghazaleh, Assistant Presidents HE Mr. Munir Soubar and HE Ms. Yasera Ghousheh, Secretary General of the Senate Mr. Khaled Al-Louzi, General Manager of the President’s Office Mr. Ali Al Zyoud, and with the membership of the Administrative Manager, Director of the Constitutional Performance Department, in addition to the Head of the Planning Division at the Senate as the committee rapporteur. The Committee aims at setting a strategic plan for the Senate and linking it with action plans and performance indicators of all directorates and divisions in coordination with the technical and consulting support of Talal Abu-Ghazaleh Organization (TAG-Org). The aim of the project is to conduct analysis of institutional gaps in terms of tasks and responsibilities of various directorates and divisions at the Senate, highlighting prospects of performance improvement as well as key challenges in this respect. A number of workshops will be held to present the outcomes of the gap analysis through brainstorming sessions involving members of the Strategy Committee to define the Senate’s vision, mission and strategic objectives, action plans, monitoring and evaluation mechanisms all in accordance with the Constitution in terms of the role of the Senate. Manager of TAG-Consult/Jordan and Head of the Project’s Consulting Team said that TAG-Consult has an outstanding record in providing the best professional services using the most advanced tools and methods for strategic plan development and performance management mechanisms, follow- up and evaluation for entities in the public and privates sectors. He added that it is of great significance for the Senate to conduct the project in order to activate its essential role with measurable outcomes. On a similar note, TAG-Org recently signed an agreement with the Senate to transform the Jordanian Senate into a knowledge-based institution that uses technology and digital services and enhances other activities in the field of IT and training for professional and technical development services as well as the Senate’s human resources.